We are extremely excited to share some significant developments as kabookaboo Marketing celebrates its 17th year in business and continues to evolve and grow. Never static or slowing down, we have established a partnership with a highly successful, cultural and experiential marketing agency, COLLiDE. We have also returned to our roots and moved our office back to “The City Beautiful” — Coral Gables — with a long-term lease at WeWork. Finally, kabookaboo has implemented several employee-focused programs, including a new work-from-home initiative to foster the team’s work-life balance. Our sister agency relationship with COLLiDE provides kabookaboo with extensive access to exceptional cultural and experiential marketing. Established in 2014 by industry veteran, Alan Miller, COLLiDE is a boutique culture agency, editorial platform, travel magazine, international festival, and experiential event production company. COLLiDE has a proven track record of merging brands into deep-rooted cultural movements, with a client roster that includes Showtime, M&Ms, Dr. Martens, Hard Rock Café, BIG3, Evian, DirectTV, and Oikos. COLLiDE has offices in Los Angeles, New York, Chicago, and Austin, as well as partner offices in Mexico City, Montreal, Toronto and now, we are proud to say, Coral Gables. kabookaboo is also thrilled to announce its return to Coral Gables in the WeWork office building, which is located literally in the heart of the Gables at 2222 Ponce de Leon Boulevard. WeWork is the leader in coworking spaces, a concept that has proven to create a synergy that results from working with people who value working in the same place alongside others who do not work for the same organizations. “kabookaboo is always trying to push innovation, and a crucial part of achieving innovation is focusing on how our team functions and wants to work.” stated Ari Rollnick. 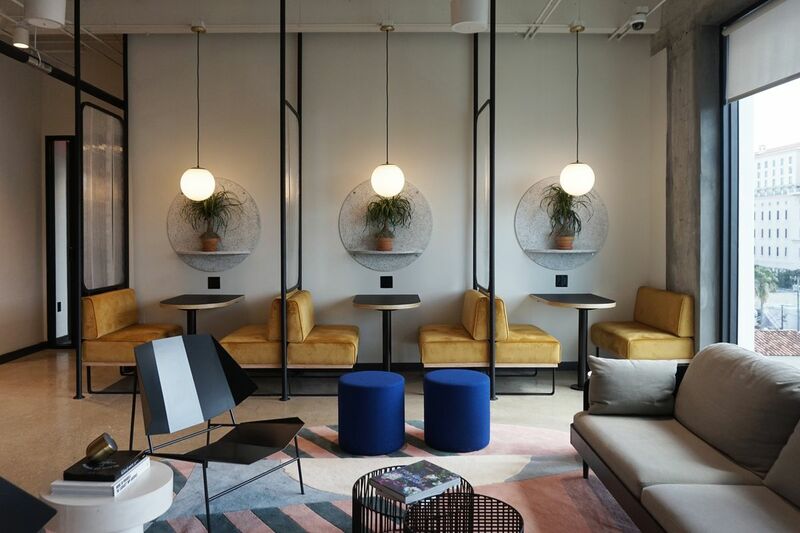 “WeWork provides kabookaboo with the stability and privacy of traditional office space, with the added benefits of being a part of their creative community, streamlined cost efficiencies, and the flexibility to work at any one of their five South Florida locations or, when traveling, at any one of their 350 locations in 65 cities worldwide.” The partnership with WeWork allows kabookaboo to be more agile than ever before, while slashing its expenses for office space, utilities and related costs by more than 45%. Never to shy away from technology, kabookaboo has also incorporated Dropbox Business, Sprout Social, Shopify, ZenDesk, Textedly, and Zoho into its far-ranging repertoire of applications and programs. To reduce IT issues and overhead and increase remote working capabilities, kabookaboo has moved away from the traditional server environment and, in April, moved more than 1,000 gigabytes of files over to Dropbox. This increases file accessibility from laptops to smartphones and tablets and, at the same time, reduces dependencies on outside IT staff and expensive hardware. Each program has been carefully vetted and incorporated into kabookaboo’s ecosystem to (1) create more value for clients; (2) increase flexibility and agility to stay ahead of changes in the digital space; and (3) reduce overhead to redirect valuable resources to employees. Finally, with the new technologies that service our internal work and external performance, kabookaboo is able to provide a flexible work-from-home policy to its team members, which allows them to telecommute up to three days a week. Combined with the invigorating WeWork environment, team members are experiencing a flexible and enjoyable work experience that is better than kabookaboo could offer in the past. These new changes are already resulting in improved happiness and morale, which is important because kabookaboo is committed to retaining talent. In fact, some team members have been with the agency for more than 13 years! That said, I’m proud to let you know, kabookaboo is more agile, more strategic and more employee-focused than ever before. We have developed personal relationships with our sister agency and our clients, with whom we are strongly connected. You can expect to see big things from kabookaboo in the second half of 2018!